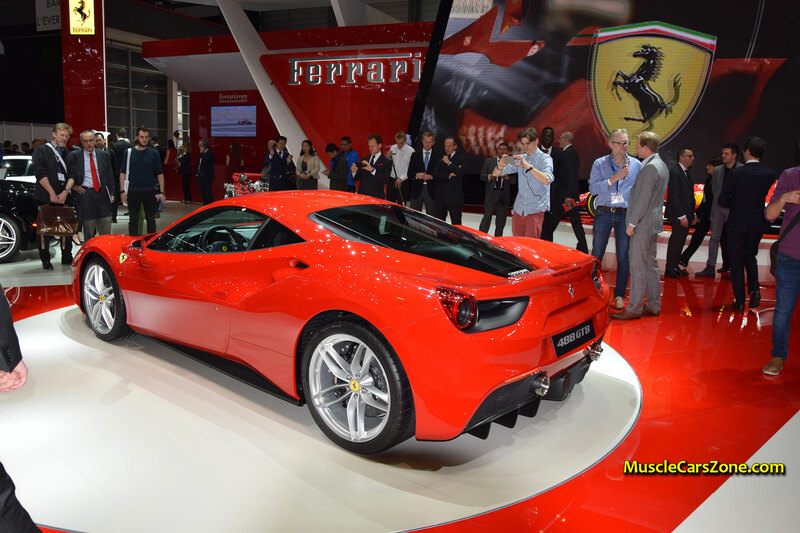 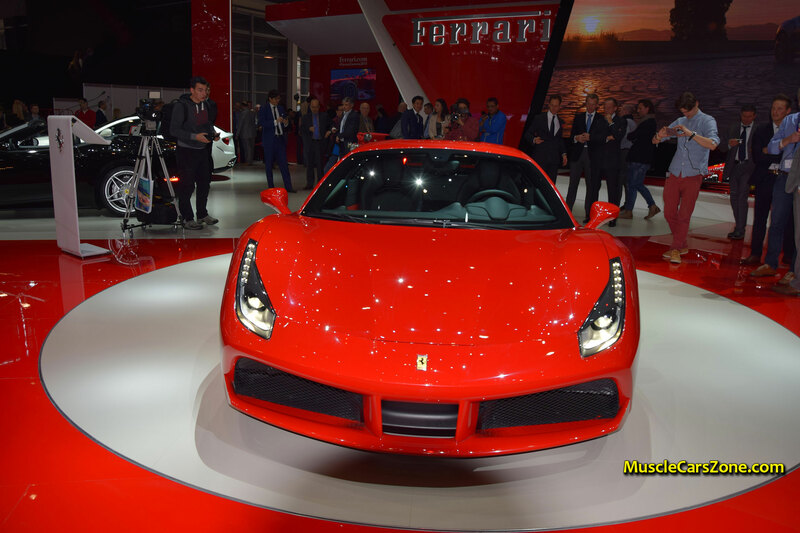 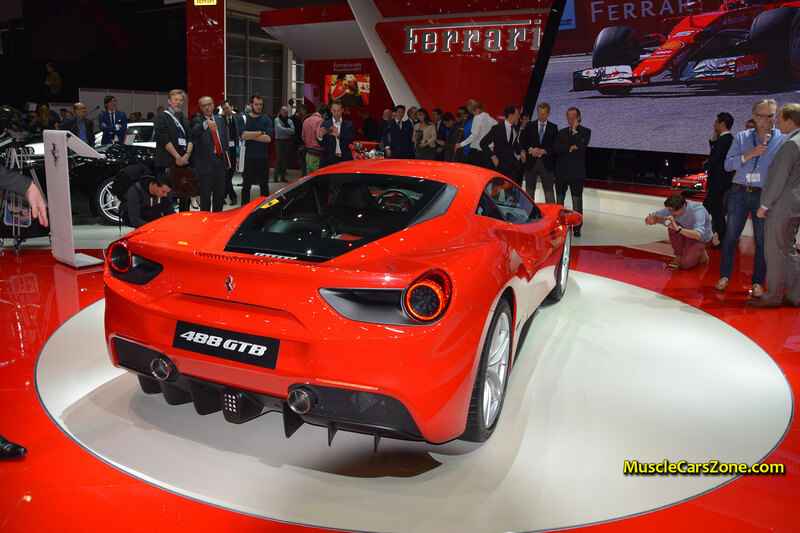 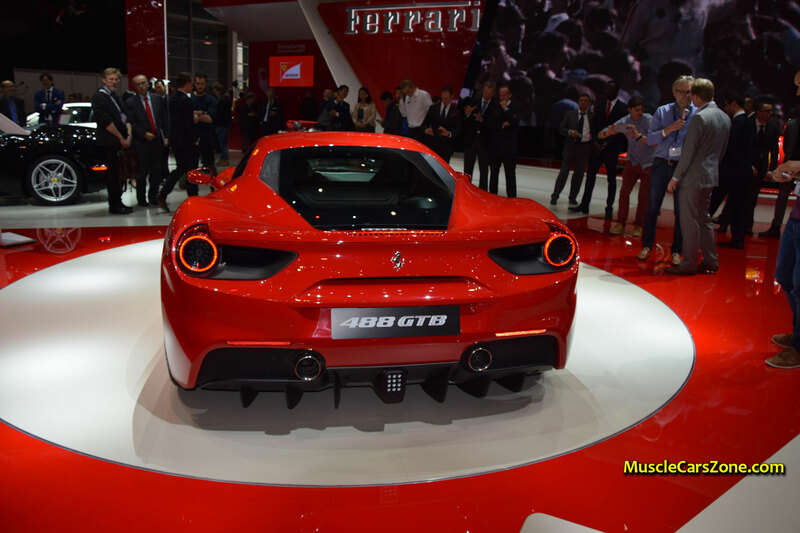 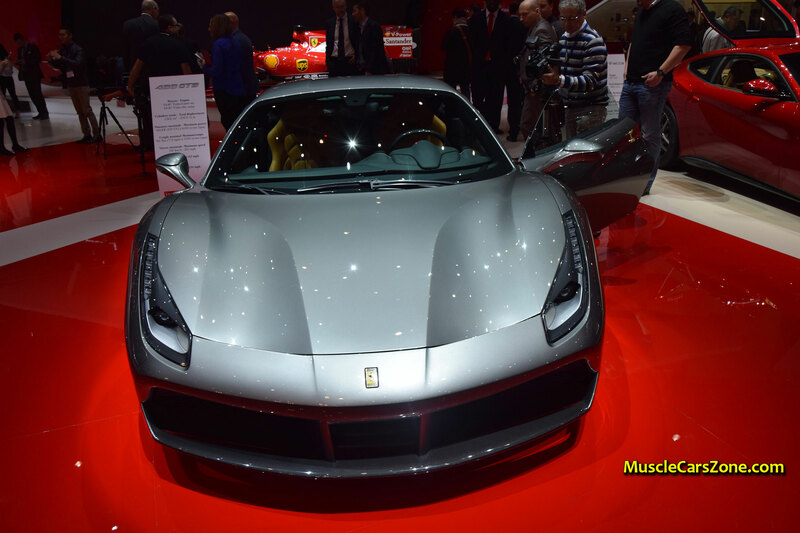 2015 GENEVA MOTOR SHOW! 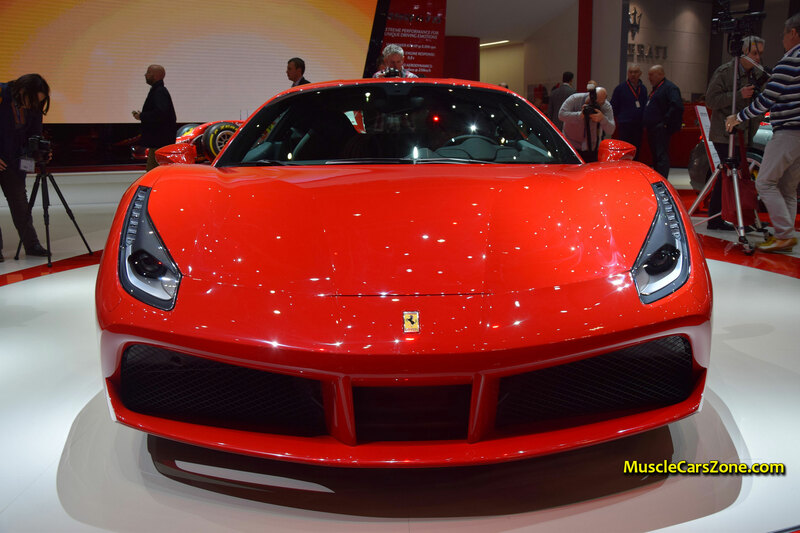 POWERFUL 2016 FERRARI 488 GTB! 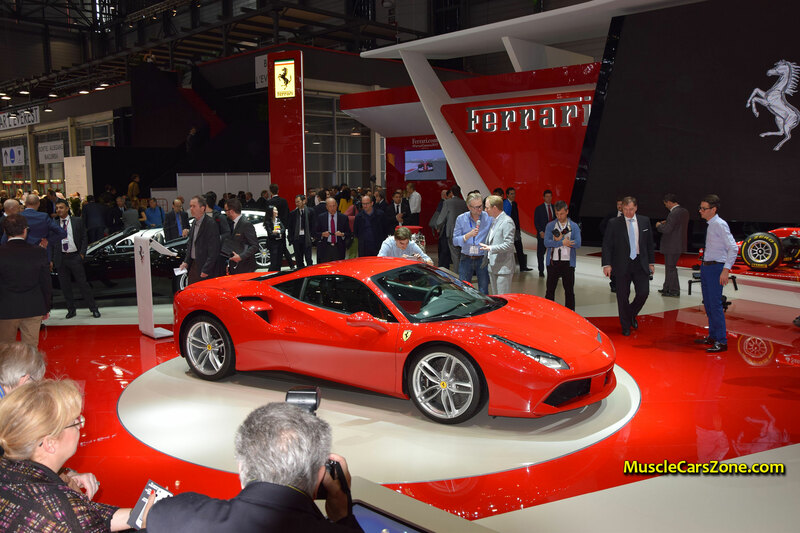 The 2015 Geneva Motor Show is in the wake of the events and the musclecarszone.com team is right here were it all happens! 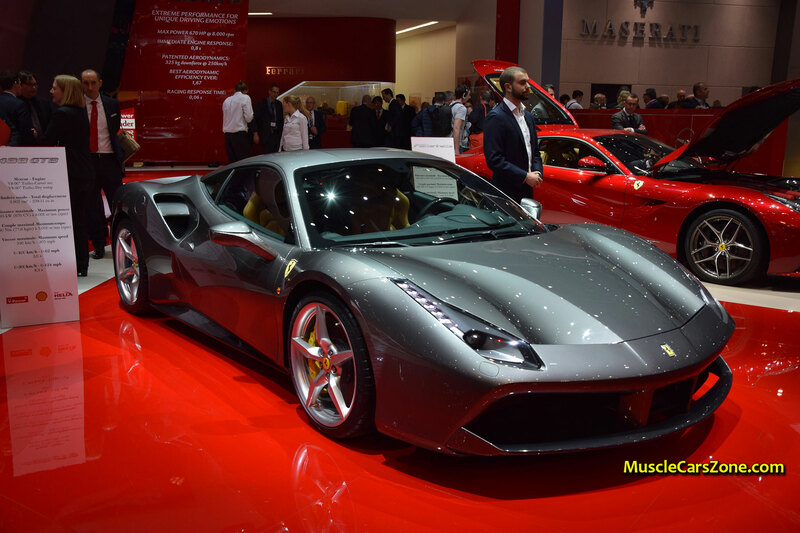 We are proud to present you our walk around this amazing, new model from neighboring Italy – 2016 Ferrari 488 GTB!!! 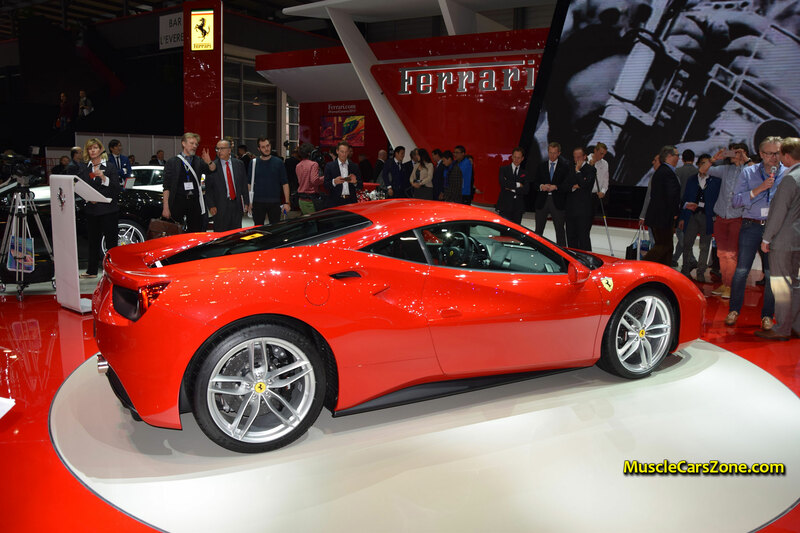 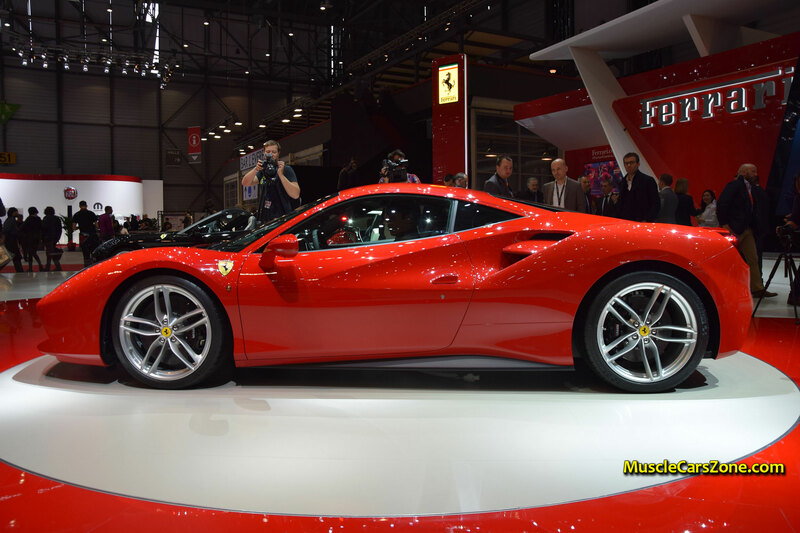 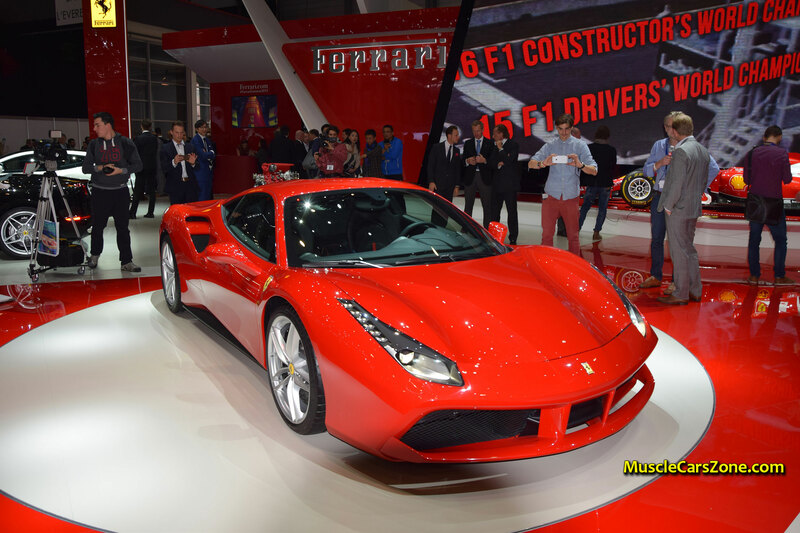 The latest Ferrari Supercar is an update of the well-known 458 Italia! 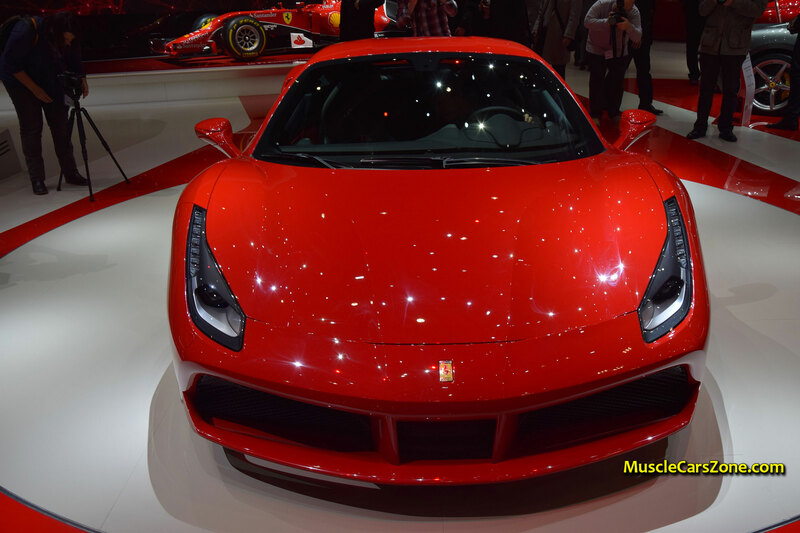 However, it is very different in a lot of ways! 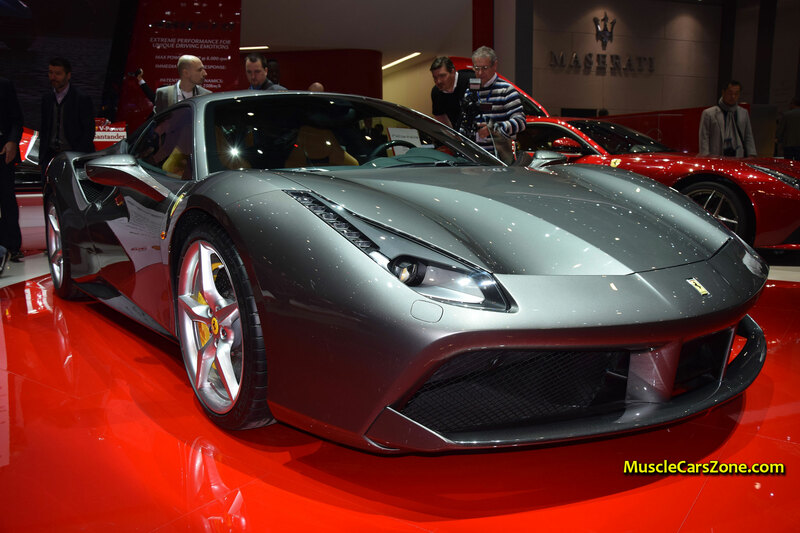 The engine in this Italian elegance is a Twin-Turbocharged 3.9L V8 able to produce MASSIVE 600hp and 560 lb/ft of torque! 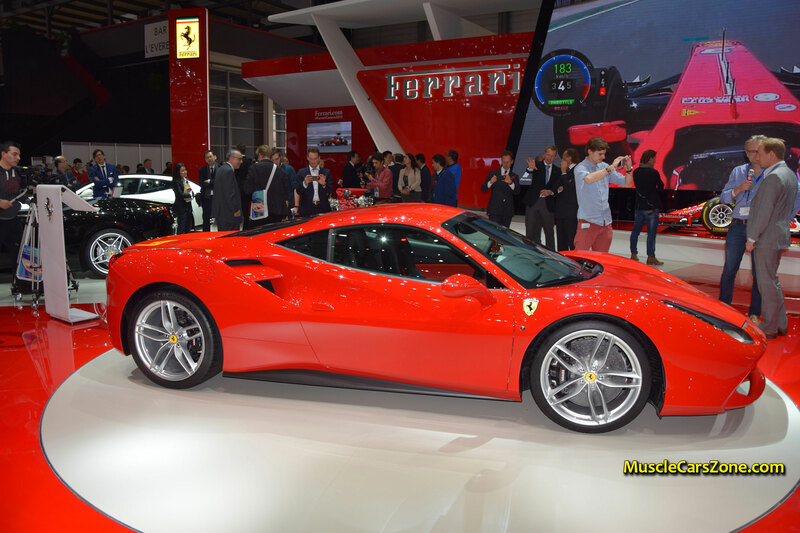 We are going to compare it with the 458 Italia! 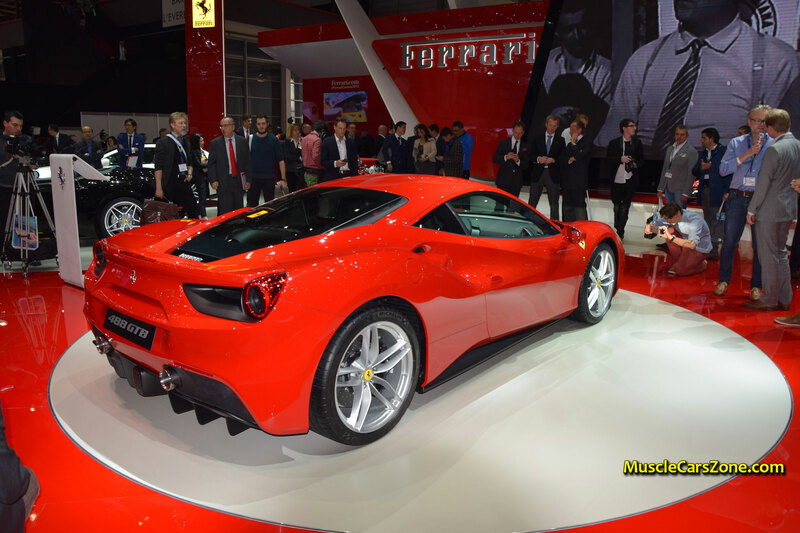 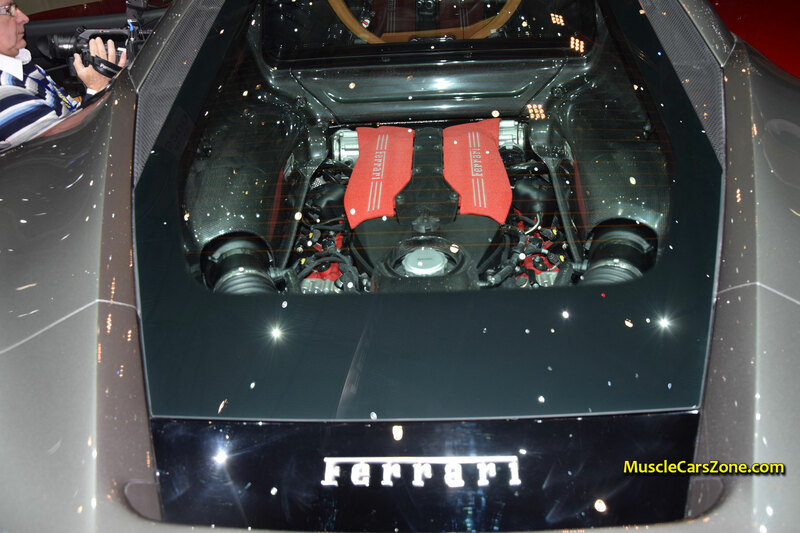 The 458`s motor was a 4.5L V8 that was able to produce 597hp and “only” 398 lb/ft! 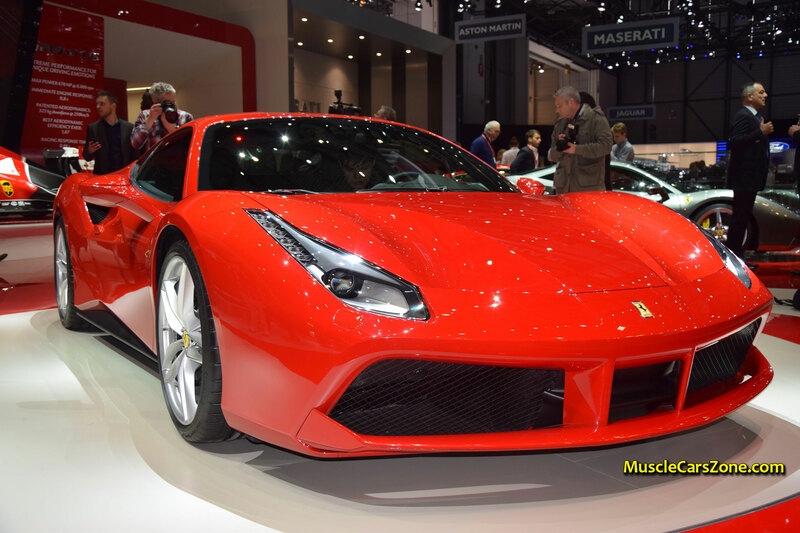 So, the difference is evidential. 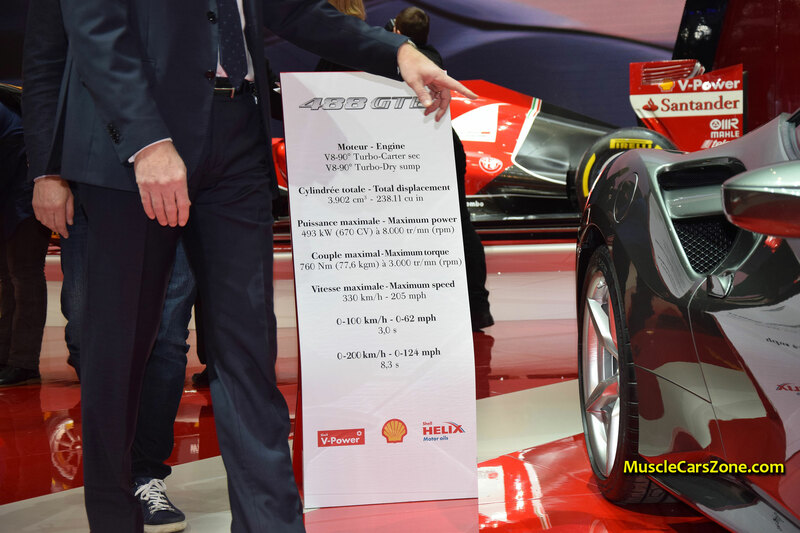 Let`s take a look at the numbers! 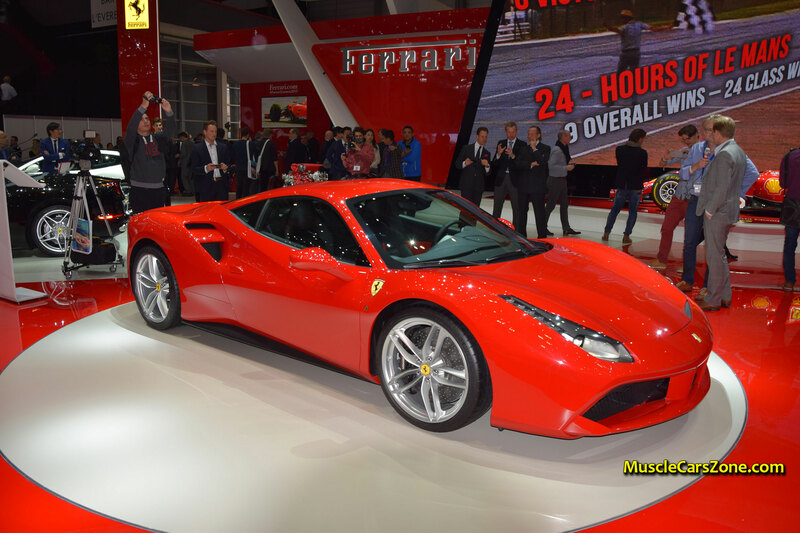 The 2016 Ferrari 488 GTB can accelerate from 0 to 62 mph in just 3 SECONDS and reach top speed of 205 miles per hour!!! 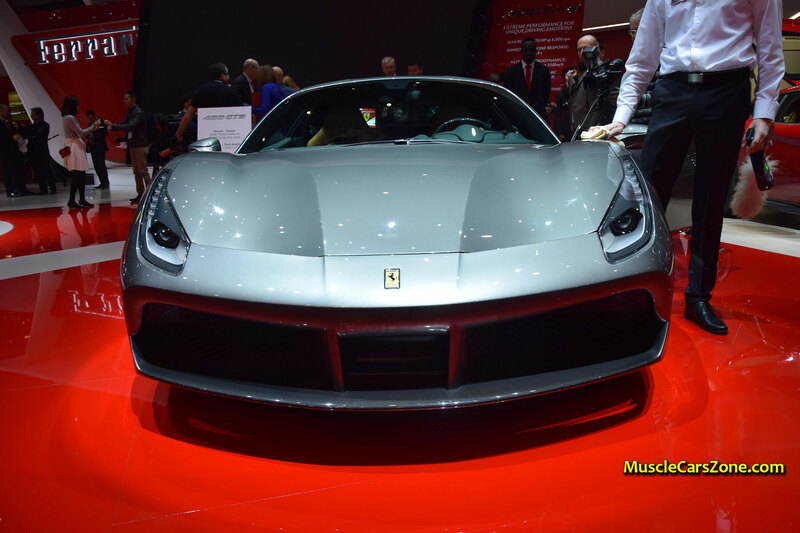 Stay tuned for more videos! 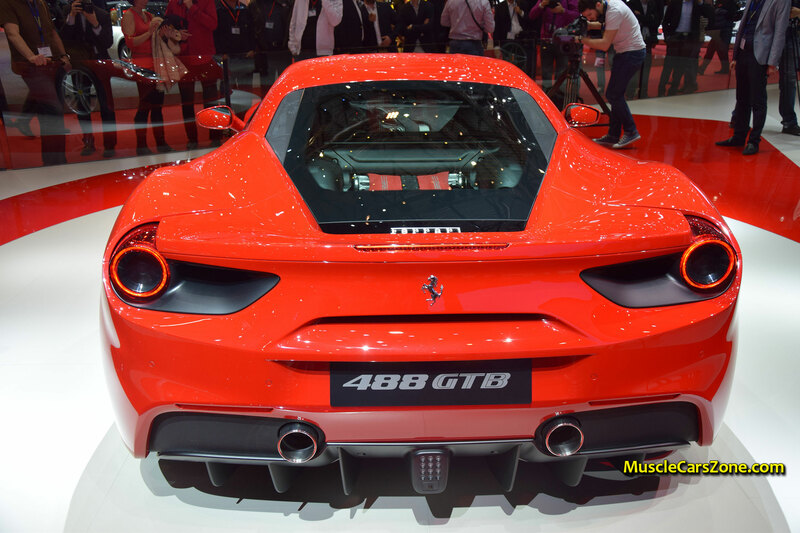 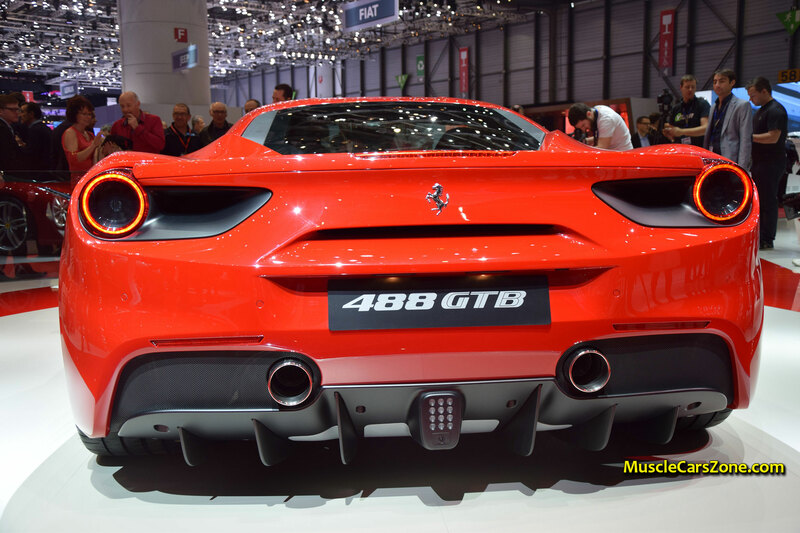 To watch the first video of the Red Ferrari 488 GTB, go to PAGE 2 or CLICK HERE. 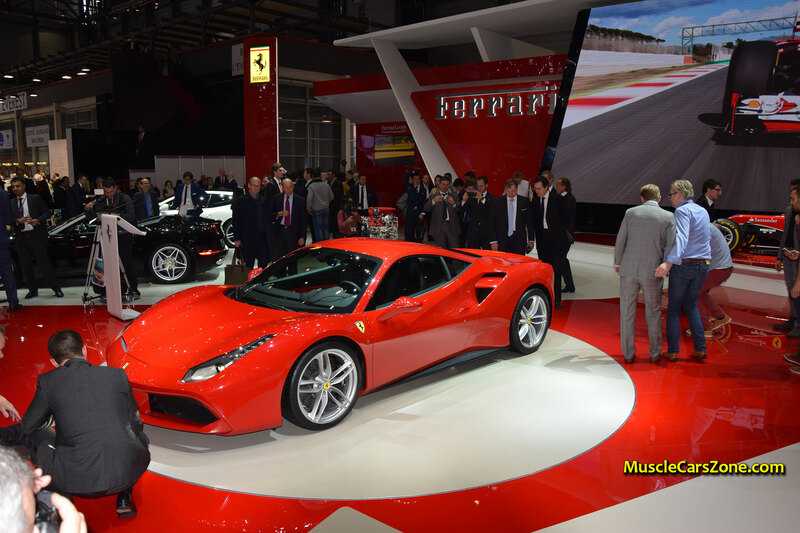 To watch the second video of the Red Ferrari 488 GTB, go to PAGE 3 or CLICK HERE. 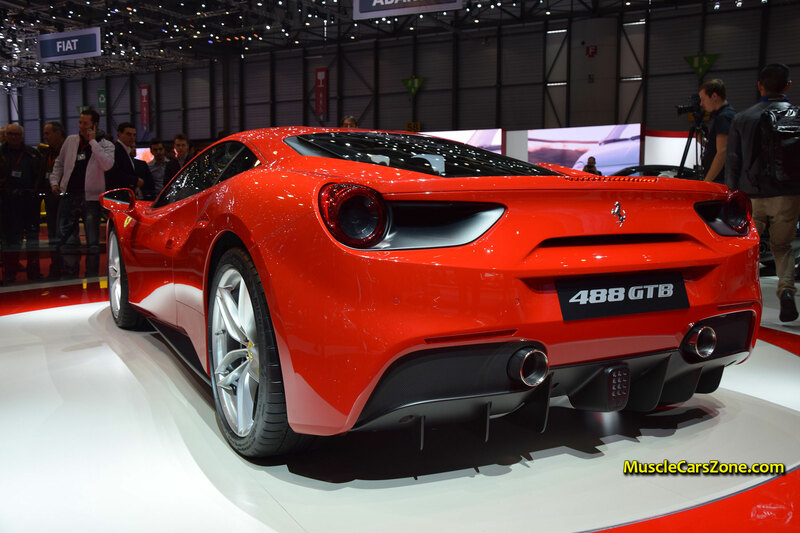 To watch the third video of the Red Ferrari 488 GTB, go to PAGE 4 or CLICK HERE. 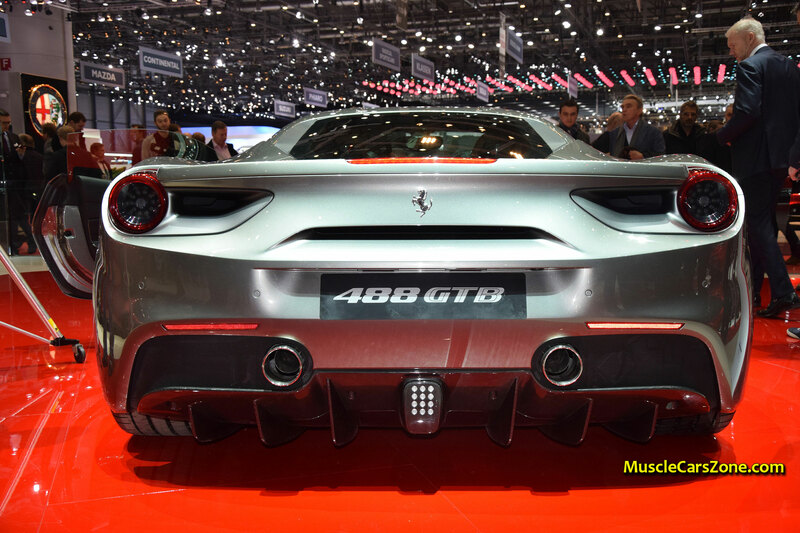 To watch the Silver Ferrari 488 GTB walkaround, go to PAGE 5 or CLICK HERE.